Ricky Wells, Joel Andersson, and William Lawson are all returning to wear Monarchs colours again, with new boy Luke Ruddick joining from the National League. 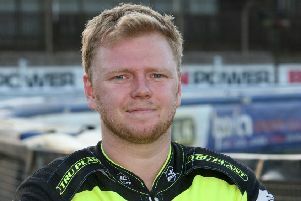 Having been faced with the difficult decision of retaining just one of their three heat leaders from last season because of the new lower points limit, the club have re-signed Wells to lead the squad. 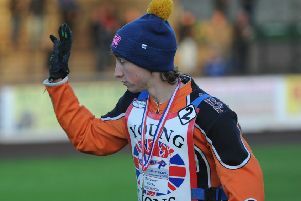 Wells, who is racing in America at the moment, is the highest average rider in the side and rode at No.1 for Monarchs in all but the final match last season. He told the Evening News: “Last year I felt good all season, I don’t think I had a bad meeting at home. “I never had a retirement or exclusion and that was pretty cool. I managed quite a few bonus points at home too which is something I’m not used to, but that was down to Victor (Palovarra) making the start ahead of me. Wells added: “It’s a pretty balanced side we have got, so it’s up to us all to deliver. Edinburgh feels like home for me now, it’s a good club with good people and I’ve been happy there from the first year I joined. Swede Andersson, 22, said: “Last season was really fun, I had a pretty rough start to the season, but towards the middle of the campaign I started to enjoy myself. When you get you head round Armadale and learn how to ride the track you can basically beat anyone. Melrose-born Ruddick will form an all Scottish partnership with Perthshire-based Lawson down at reserve. Ruddick commented: “I’m quite confident and excited about my prospects. “It’s a step in the right direction for me and it’s what I was hoping for. It’s a couple of years since I last rode Armadale, but I like the place, whereas a lot of riders find it tricky”. Monarchs 2019 team: Ricky Wells, Josh Pickering, Justin Sedgmen, Joel Andersson, Luke Ruddick, William Lawson and Cameron Heeps.